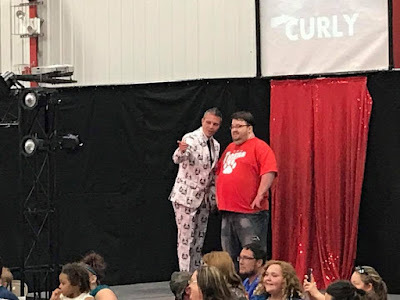 Me and Sam at "Brave the Storm"
I've known Stride Pro Wrestling General Manager Sam Hunter for several years. He was a fan of All-American Pro Wrestling who quickly turned into a volunteer. Sam would help on the night of shows with set up and tear down, a process that I do not miss anymore. 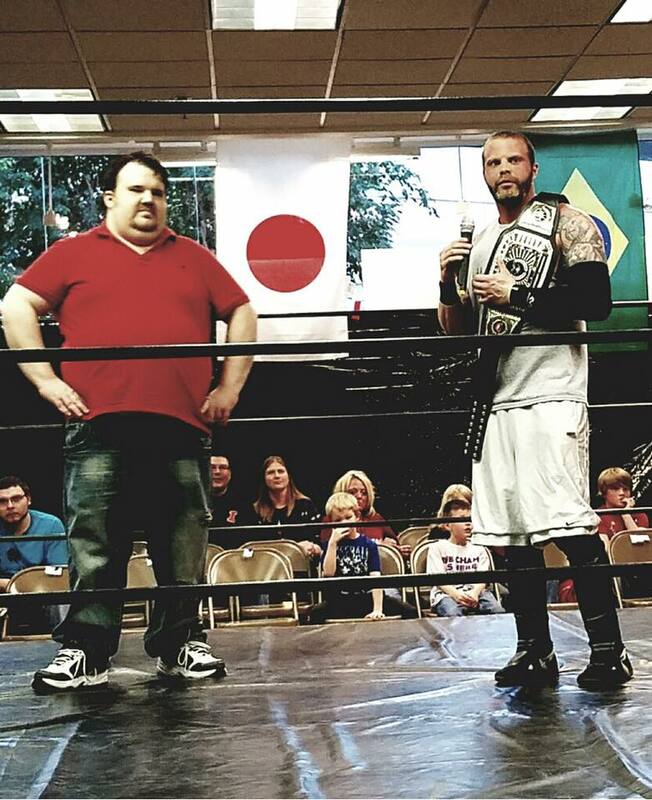 In March 2016, when Stride Pro Wrestling started, it was announced Sam would be the company's general manager. Sam has a take no prisoners approach when running the company. He's gone toe to toe with everyone from the DR Party, Ax Allwardt and most notably Tony Flood. Sam also brings the sound system each month to the Illinois Star Centre Mall in Marion for the Stride shows. 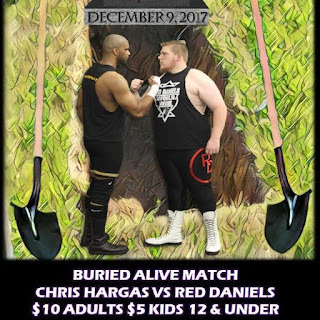 He signed off on Saturday's night huge Buried Alive match, so be sure to join us at 6:30 p.m. Now for some fun facts about the GM. Sam got his start in the entertainment business at an early age, DJing at the teen center in his hometown. He was 12 at the time. It's a passion that has stuck with him, as he created his own DJing business and works gigs like weddings, birthday parties and other special events. His favorite wrestler of all time is "The American Dream" Dusty Rhodes. Sam says Dusty's promos were among the best in the business and laid the groundwork for many of today's stars. Sometimes he even quotes the Dream during his own promos in Stride. Time for some name dropping. 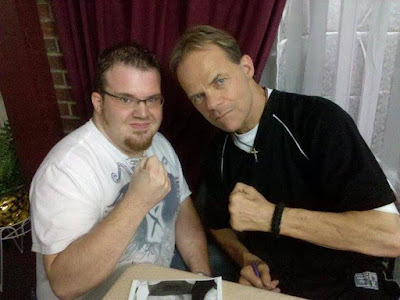 Sam has met quite a few celebrities through the years including; Shawn Michaels, Kurt Angle, Sting, Lex Luger, Kevin Nash, Scott Hall, Paige, Seth Rollins, The Dudley Boys, Goldust, Eugene, Matt Morgan, Samoa Joe, AJ Styles, Christian, Bobby Roode, Eric Young, Scott Steiner, Eric Bischoff, Rob Van Dam, and Mick Foley. Same when to high school in Norris City with former Stride Pro Wrestling champion Heath Hatton. Sam is an avid video gamer. He started with the original Nintendo and today owns all three major video game consoles. His favorites include; Super Mario Brothers, Resident Evil, Final Fantasy, Ninja Gaiden, Street Fighter, and Mega Man. He also has his own YouTube channel dedicated to gaming. Join the more than 1,200 subscribers here. Despite what J. Wellington Beauregard says, Sam hates fish sticks. Sam has a degree in Computer Information Systems and also enjoys reading about great philosophers including the works of Socrates.